We love the fun little minions from Despicable Me. 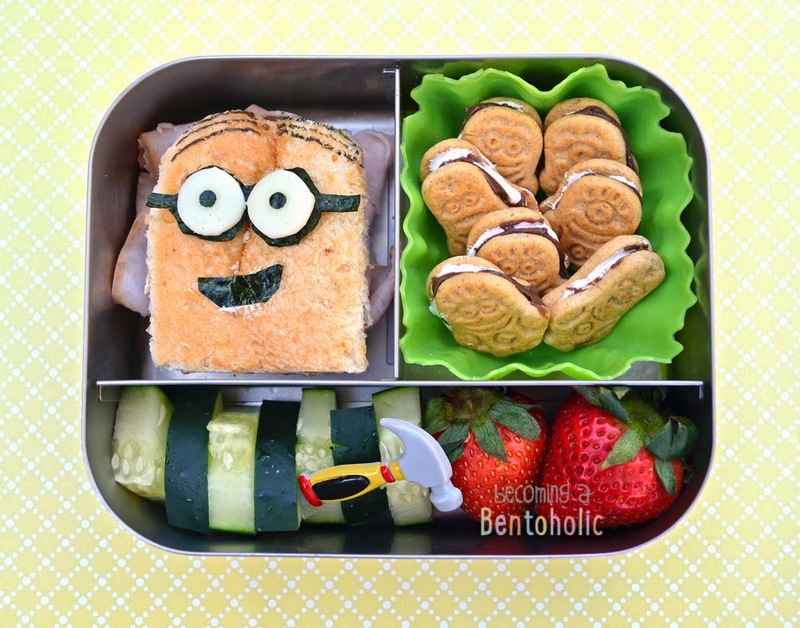 We have watched both of the movies several times and making a minion bento has been on my to do list. In this lunch: Minion ham sandwich with cheese stick and nori details (the hair was drawn on with food markers), minion s'mores (graham crackers, cocoa almond butter, and marshmallow fluff), cucumbers, and strawberries. Adorable lunch! We love the minions! Small Child would LOVE this lunch! I love how you made the smores - they look so delicious!